American Power forward Nick Minnerath (207-PF-88) put on an extraordinary performance in the last week for Ponce, receiving a Interperformances Player of the Week award for week 3. The 30-year old player was the main contributor (44 points, six rebounds) to his team's victory, helping them to beat Fajardo (#3, 4-1) 130-117. The game was between two of the league's top four teams. Ponce is placed at 4th position in Puerto Rican BSN. They would have been even better if they hadn't lost that single game earlier this season. Ponce will need more victories to improve their 2-1 record. In the team's last game Minnerath had a remarkable 72.7% from 2-point range and got seven three-pointers out of 10 attempts. He just recently signed at Ponce, being already a very valuable addition to the team. Former University of Detroit Mercy star has very solid stats this year. Minnerath is league's best scorer averaging so far 27.0ppg. Minnerath is in league's top in and averages impressive 62.1% FGP and 54.5% from behind 3-point line. 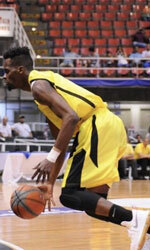 The second best player in last week's games was 28-year old American David Laury (206-F/C-90) of Guayama. 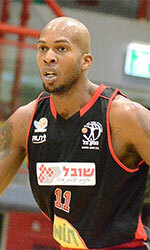 Laury had a very good evening with 27 points, 9 rebounds and 2 assists. It was enough for Guayama to edge Mayaguez (1-3) 101-96. The season is still at the very beginning and this victory may help a lot. Let's wait for the next week. Laury is one of the most experienced players at Guayama and has a reputation of one of team's most reliable players. He belongs to the best scorers in the league with 22.5ppg (#4). He also registered 12.5 boards per game. 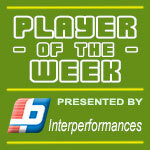 Third on the list of top players last week was American center Greg Smith (208-C-91) of Bayamon (#9). Smith showcased his all-around game by recording 23 points, eight rebounds and five assists in the last week. Despite Smith's great performance Bayamon lost 91-98 to Fajardo (#3, 4-1). But his team cannot count on just a single player as he also needs help of the other teammates. Bayamon can only dream about fighting for top spots in the league. They have awful season losing so far all 3 games. Too bad for Smith he does not play for a better team. But maybe if he did, his season stats would not be that high. Smith has individually a great season in Puerto Rico. After only 2 games, he made it on the list of the league's leaders in points with 20.5ppg (6th best).